A 3468 km long stretch of land in Wyoming State that reaches until Montana and Idaho is known as the Yellow Stone National Park of United States of America. The park is 54 miles west east and 63 miles north south. Around 96 percent of the area of Yellow stone national park is in Wyoming, three percent in Montana and one percent in Idaho. The Yellow Lake is measured as the highest altitude lake in North America and around 80 percent of the land area of Yellow Stone national park is covered by forest. The park was established in 1872 by the US congress but the exploration of the land area started a little earlier in 1860s. The park is basically a huge volcanic basin and has witnessed few volcanic eruptions of which the last one erupted around 600,000 years ago. 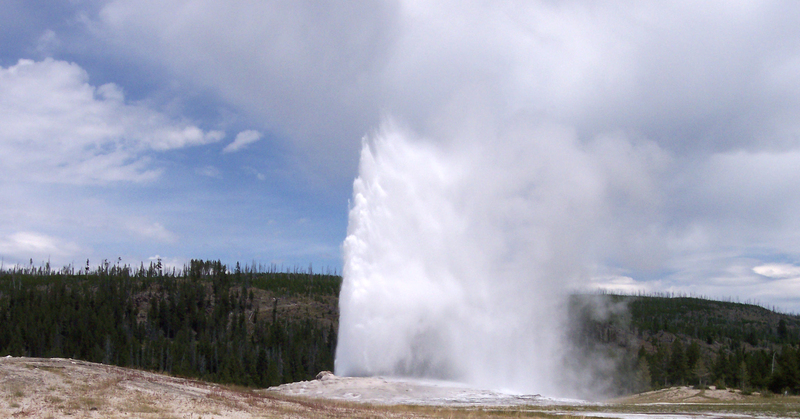 Yellow stone national park is centre of visitors due to hot springs, bubble mud baths and geysers. Yellow Stone Mountain range used to be the habitat for Native Americans who used to live here around 11,000 years ago due to the terrain and mass abundance of animals and plants. Still today though the Native Americans have disappeared the place is still home to hundreds of species including endangered and threatened ones and its vast forests are a reservoir for different kinds of forests and plants. Yellow stone provides numerous opportunities including hiking, camping, sightseeing, boating and fishing. Moreover, with paved roads visitors can travel to all major areas of the Yellow stone range to visit the lakes and waterfalls without hindrance. Visitors in winters can use guides and snowmobiles for the tour of the vast lands of the yellow Stone Mountain range.